How did the Tarbiyah Curriculum come about? View the report featuring various key figures who have contributed to the development of this new curriculum for Madaris worldwide. How does it work? Can we move away from the conventional method of four subjects in Madrasah to an integrated approach? Here is what Sayyid Muhammad Rizvi has to say. How did MCE come about? Following the successful Madrasah Retreat held in Dubai in February 2011, in which over 25 madaris from Europe, East Africa, Middle East, North America, India and Pakistan were represented, a strategy document was prepared for the Madrasah Agenda of the World Federation of KSIM Communities. The document was approved at the World Federation Conference in May 2011. A key recommendation was the formation of a formal madrasah structure to ensure that the madrasah agenda is always at the forefront of our leaders and our global organisation. On the blessed night of Eid a Zahra a.s.1433, Islamic Education launched the Madrasah Centre of Excellence (MCE). Presentations were made in various Jamaats throughout the world with the assistance of regional secetariats. How can I find more information on the Tarbiyah Curriculum as well as the lessons that will be in the new syllabus? In 2013, the MCE team produced an outline of the current status quo as well as how they will work towards creating the Tarbiyah curriculum. This involved detailed analysis of every other syllabus being used in Madaris around the world and also involved much research and engagement with scholars and individuals from inside and outside the community. The result was the curriculum framework document (http://madrasahonline.org/tarbiyah-curriculum-framework/) and the following draft of the potential lessons (http://madrasahonline.org/tarbiyah-module-overview/). We understand that changes were made following global feedback to both these documents however those changes are not reflected in these current documents. Who reviews the lessons that are created through the MCE project that teachers will deliver? The lessons are reviewed at various stages and signed off by Sh. Mohammad Saeed Bahmanpour and Sayyid Muhammad Rizvi. It is our understanding that each lesson requires approximately 120 man hours from creation to review. Why is SIM considering the Tarbiyah Curriculum? The Tarbiyah Curriculum provides a structured framework for us to deliver content that has been verified by scholars and undergone various checks. Each lesson has taken approximately 120 hours to produce. 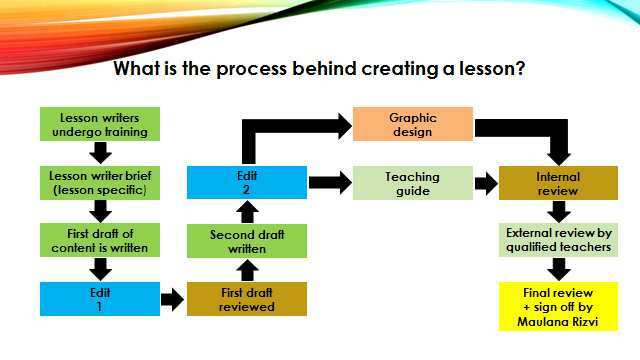 With the lesson, comes a teacher’s guide assisting them at each step to ensure successful delivery of the lesson. This exceeds the work undertaken by SIM in managing its own syllabus. At the moment, the SIM syllabus does not have inherent structure and framework. Who will benefit from the Curriculum? Students of the Madressa will be the ultimate benefactors, benefiting from a syllabus that has been tailored for them. What possible setbacks will we experience? It will not be easy adapting to a completely new curriculum and we will face initial teething problems. Adapting to the curriculum will be the main challenge, however we are confident that should SIM decide to proceed with the with this new curriculum then it will ultimately be a successful transition. Staff at all levels should be positive and voice any concerns, queries or suggestions as soon as possible so feedback can be collated and acted upon. What changes will impact me as a Teacher/HoD/Learning Support Assistant? Teacher: You will be teaching an integrated lesson so there will be no more ‘departments’ aside from Qur’an which remains as it is. This is similar to what is being done in class 1-3 already where we have no identifiable subjects, but draw the important lessons and concepts out from stories, verses of the Quran, Hadith etc. Learning Support: No changes anticipated – expect you to be able to continue to support students as per the curriculum. What does an 'integrated' lesson mean? Not all lessons have each and every topic integrated within it. 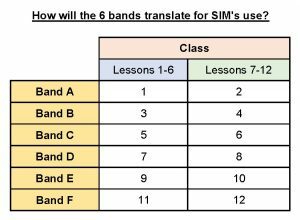 SIM currently integrates all subjects for classes 1-3 and also integrated Tarikh and Akhlaq into MEH in 2016 for classes 4-10. In Aqaid, classes 4-10, there are references to the relevance of other subjects within the material. What if I don't feel 'qualified' to teach certain subjects? Please remember, that just as today, we are teaching to young children and so the content is not likely to be pitched at a level above what we have in our own syllabus today. The content will be age appropriate and we are aware through discussions with the MCE team that they have made changes to their own content to ensure it is relatable and accessible for the age group it is intended. How can I learn more about the Tarbiyah Curriculum and the MCE project, and see sample lessons? How would we teach lessons from the new curriculum? For the younger classes, there are story books and teaching guides. Each and every lesson plan will help teachers highlight the important points from each story. For the older classes there are textbooks and teaching guides. The teaching guides will assist teachers in delivering the lesson such that key points are conveyed and understood by the students. What support is being provided to the teachers to help them prepare? MCE is providing Curriculum training for all teachers in Madaris where the curriculum is going to be adapted. There is also TSP (Teacher Skills Programme) training which SIM has made mandatory for all teachers. The TSP provides tools and skills for teachers to use within their classroom. To read more about the TSP click here. Teaching Guides are also provided with the lessons. Has SIM decided to proceed with the new curriculum? No. The first step is the presentation on Inset Day with the MCE team and also to share the experiences of Hyderi Jamaat’s Madressa of their first year (2017) using the MCE syllabus. Beyond that, this resource page has been created and will continue to be updated. The Madressa will then ask staff at all levels to ‘vote’ on whether they wish to proceed and then a decision will be taken. How would it work if Madressa was to implement the new curriculum? A. 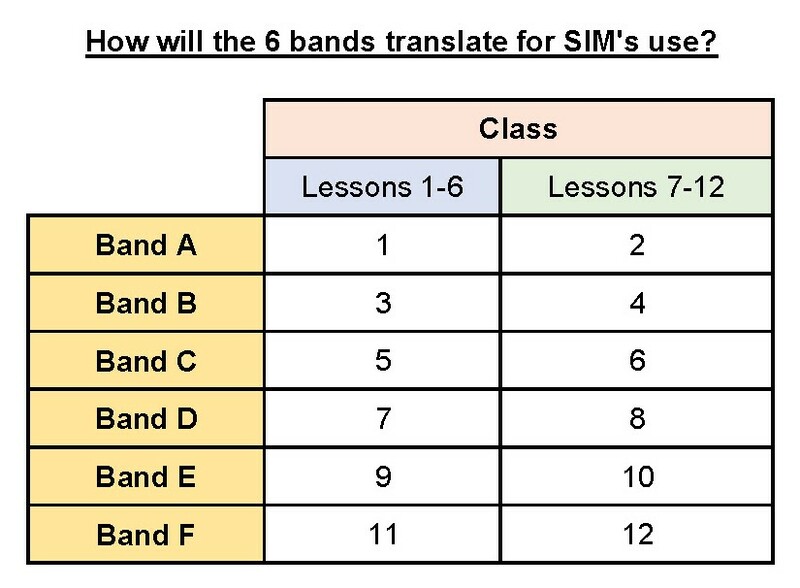 How do the bands translate into our current classes (classes 1-12)? Each band has 12 lessons and as there are 8 modules it means there are circa 96 lessons per band, therefore we could only aim to cover circa 48 lessons in any given year. Over the course of 2 years we would cover all the material relating to just one band and the following table demonstrates how each band would be split in half and then covered by the appropriate class. B. What would a typical day look like for me as a teacher? As a teacher in either class 1-4 or 5-12 your day would almost stay exactly the same as it is today, however instead of being known as a ‘Belief / Actions’ (BA) or a ‘Moral, Ethics and History’ (MEH) you would be known as a Lesson 1 teacher or a Lesson 2 teacher. QA teachers will remain as they are within their own distinct department. Do you have questions and/or concerns regarding the new Tarbiyah Curriculum?